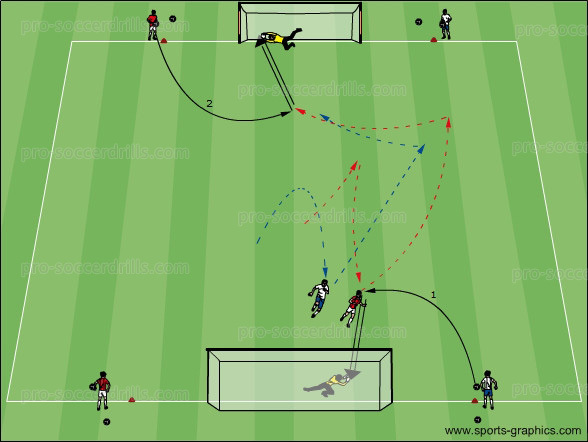 Goal: This soccer passing drill focuses on developing short range one-touch passing and practising combinations and functional passing technique. Equipment and players are arranged as shown. 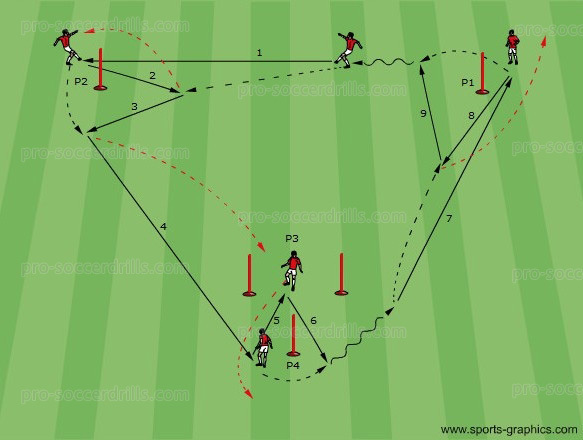 Players change their positions continuously following their passes. Perform the exercises to both sides. 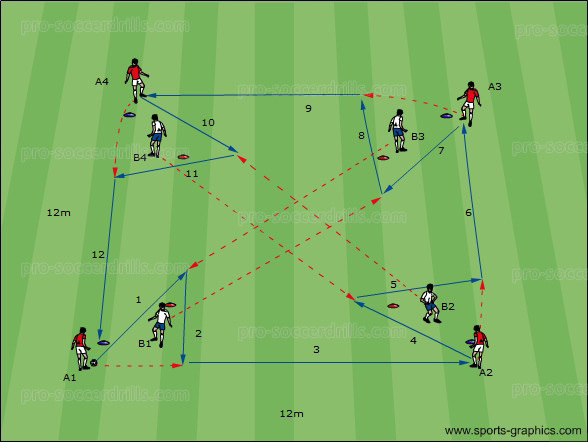 This soccer pasing drill focuses on one-touch passing and short range passes. 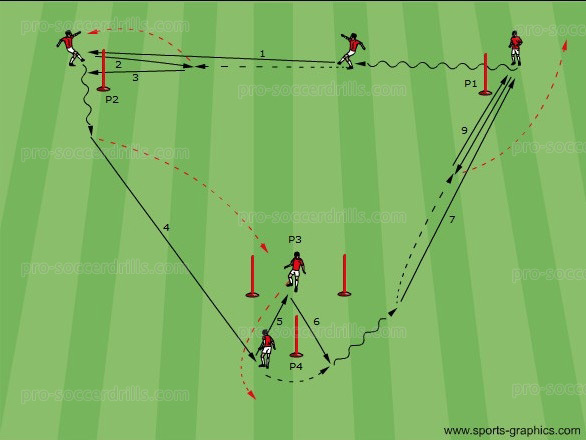 Combinations and wall passes of two players. Two variations can be seen.